Karen A. Frenkel is an author, journalist, and award-winning documentary producer specializing in technology, medicine, and science and their impacts on society. I am an award-winning science/technology journalist, editor, and author. I write for many kinds of readers: lay, professional, business, kids, and pretty much anyone interested in high-technology and science. I also have made two documentaries for public television about the impact of technology on society––one on women and computing, the other about elearning. I also write about the impact of science and technology on culture. I began my career covering robotics and computer science and still report on both. What I love about these fields is that they are interdisciplinary. Most recently, I have contributed bi-weekly stories on research reports on security and cyberwarfare to CIOInsight.com. I also covered the Internet of Things (IoT), the Cloud, apps, Big Data, Open Software, project management and anything else of interest to Chief Information Officers. I have covered women and STEM for three decades. In May and November 2014 I wrote stories on black women in tech for Essence Magazine. My stories on technology, innovation, and entrepreneurs have appeared inBloomberg Businessweek (Businessweek.com), Bloomberg.com, Communications of the ACM, the magazine of the Association for Computing Machinery (Communications of the ACM online), FastCompany.com and YoungEntrepreneur.com. Other articles have appeared in Science Magazine, reporting for the News of the Week and News and Analysis sections, as well as for Science NOW. Stories also have recently appeared in U.S. News and World Report, Scientific American and ScientificAmerican.com. I recently completed a narrative non-fiction account of my parents' flights from fascism during World War II. HOW FAR: A Love Story Against All the Odds, chronicles how far my father and mother went physically, emotionally, and morally to save themselves. To bring this story and history to life, I devoted five years to getting family documents translated and pouring through domestic and European archives. I take readers to Vienna, Kraków, Tarnów, and Lwów (now Lviv, Ukraine) and, ironically, Southern Germany. A large part of the story also involves Havana, Veracruz, Mexico City, and New York. My work covering cyberwarfare supported the book project. I hope some day to not cover any aspect of war, past or present. For more information about this project, please see the HOW FAR and Blog pages. 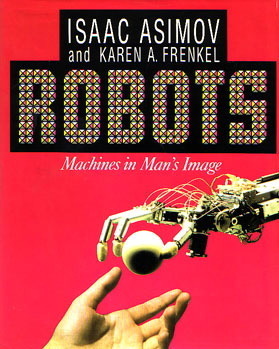 As Senior Writer for Communiations of the ACM, the flagship magazine of the Association for Computing Machinery, I covered artificial intelligence, interactive multimedia, computer aided design, computer security, computers and medicine, databases and the human genome project, high-definition television, parallel processing, and supercomputers. I still bear a fascination for the power of those machines., the flagship magazine of the Association for Computing Machinery, I covered artificial intelligence, interactive multimedia, computer aided design, computer security, computers and medicine, databases and the human genome project, high-definition television, parallel processing, and supercomputers. I am still fascinated by the power of those machines. I directed, co-wrote, and co-produced net.LEARNING, winner of the 1998 National Education Reporting Award, Best Television Documentary and Feature. My first documentary is the award-winning Minerva’s Machine: Women and Computing. For more information about these films, please see the Filmmaker page. Minerva's Machine evolved from my November 1990 article on women in computing in Communications of the ACM. • Guest Speaker, The New York Academy of Science, “The Human Genome Project and Informatics” (November 1991, CACM). M.S. in Science Communication from the Journalism Department of Boston University’s School of Communication. Undergraduate degree from Hampshire College is a B.A. in philosophy of science and psychology. Professional memberships include: New York Women in Film and Television (Board Member, Director of Programming, Past Chair, Documentary Subcommittee), American Society for Journalists and Authors, The Authors Guild, and the Writer’s Guild of America East. 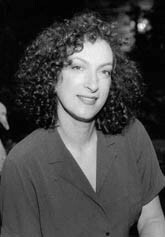 My short stories have appeared on MrBellersNeighborhood.com, The East Hampton Star, and most recently The Jewish Literary Journal. I've written scripts for "The Loh Down on Science," a radio show hosted by Sandra Tsing Loh for Southern California Public Radio station 89.3 KPCC FM, broadcast out of California Institute of Technology. It was great to participate in injecting a little humor into science. My first online writing experience was as the technology and culture columnist for CyberTimes, The New York Times on the Web. I continued in print, though, and my articles appeared in Business Week, Discover, Forbes, Medical World News, Millimeter, Personal Computing, Publish, Technology Review, and VAR Business. • Guest Speaker: The New York Academy of Science, based on "The Human Genome Project and Informatics" (November 1991, CACM). M.S. in Science Communication from the Journalism Department of Boston University's School of Communication. B.A. in philosophy of science and psychology from Hampshire College. I taught a six-week course online for NYU's School of Continuing and Professional Studies, called "Reporting and Writing in the Digital Era." Students learn how to craft features for the Web, and to embed photo slideshows, video, and audio. I also taught interviewing techniques, a five-week course in a real classroom.